If I’m ever asked to state the single reason why I jailbreak my iOS devices, I would simply say “to install SBSettings”. Its really that damn good! Of all the thousands of tweaks, both free and paid available on Cydia today, SBSettings is perhaps the most frequently used. With this awesome tweak, a simple swipe at the status bar gives you instant access to all your commonly used toggles right from the Springboard. Best of all, you don’t even need to quit the apps to access it. Just today, SBSettings has been updated to v5.0b which brings full support for upcoming iOS5 firmware. The update is compatible with iOS 4.x as well so you don’t need to be on iOS 5 to test the beta. But like any other beta release, there might be some stability issues though earlier reports suggest it works perfectly on iOS 4 and iOS 5 both. Take a look at this video (via iFans) on YouTube to find out what’s new in SBSettings for iOS 5. 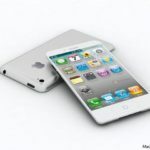 [Update] iPhone 5 To Launch In US, UK, Germany, Japan & France On October 14th?